This installation covers how labfolder and using our tool is compliant with Good Laboratory Practice. Want to know more? Read on! For a quick introduction, the Organization for Economic Co-operation and Development (OECD) introduced the Good Laboratory Practice set of principles as a quality assurance system. This improves data quality and integrity through having a secure research environment. The first principle is Number 1 – OECD Principles of Good Laboratory Practice, from Section II of GLP Principles. There are five sections, two of which we will discuss here. The first is the facilities for archiving all work done in the tool, they must provide secure storage/retrieval and protect the contents. labfolder does this through its infrastructure with daily back-ups, communication encryption and login/password access control. We also provide safe transfer, retention or deletion of data in case of closure. The second section is with regards to apparatus, materials and reagents and the fact that they must be suitably placed, their inspection, cleaning, maintenance and calibration should be recorded and that they should not interfere with the test systems. labfolder uses redundant servers located in Germany, regular scans and monitoring are also carried out on our system. labfolder further does not interfere with the test system, but rather supports research projects. Remaining in this principle are the standard operating procedures, the performance of the study and storage and retention of records and materials. The white paper describes these, as well as the two principles above in more detail. The second principle is Number 10 – The Application of the GLP Principles to Computerised Systems. In total there are nine sections, again we will stick to previewing two of them as there is detailed information in each one. The first section is responsibilities; of management, personnel and quality assurance. The management has the responsibility of GLP principle compliance. labfolder cannot control the management of our scientists, however, our tool does offer a reliable management facility. Personnel developing the systems must be qualified, at labfolder all our employees are. The personnel using the systems must also do so in compliance, for which we provide guidelines and training. You can read details on quality assurance in the white paper. Next is training. Personnel must be experienced and qualified. In addition, records of their training must be maintained. labfolder does not have much control over this section, but our personnel within labfolder are all well-trained and qualified. Manuals and training courses are also available for team members using labfolder. The remaining sections are facilities and equipment, maintenance and disaster recovery, data, security, validation of computerized systems, documentation and archives. The white paper again discusses these in full. The third principle is Number 15 – Establishment and Control of Archives that Operate in Compliance with the Principles of GLP. This has eight sections, two of which we will cover here. The first is roles and responsibilities, which has two parts: the archive contacting facility and the IT personnel. If the facility uses a contract for storage, the contracting parties must comply with GLP principles; labfolder indeed operates in compliance with GLP principles. The IT personnel involved in archiving must be qualified to do so. All IT personnel at labfolder are well trained and experienced in the field. Next is the section on the archive facility. Physical facilities must be suitably designed to accommodate archived records. Since labfolder is an electronic software system, this does not directly apply to labfolder itself. However, we do give training as to how our scientists can be compliant. Electronically, labfolder, of course, ensures all data is safe and secure. The six other sections of this principle are security, archiving procedures, archiving electronic records, quality assurance, contact archive services and closure of an archive. The white paper explains these sections in full. 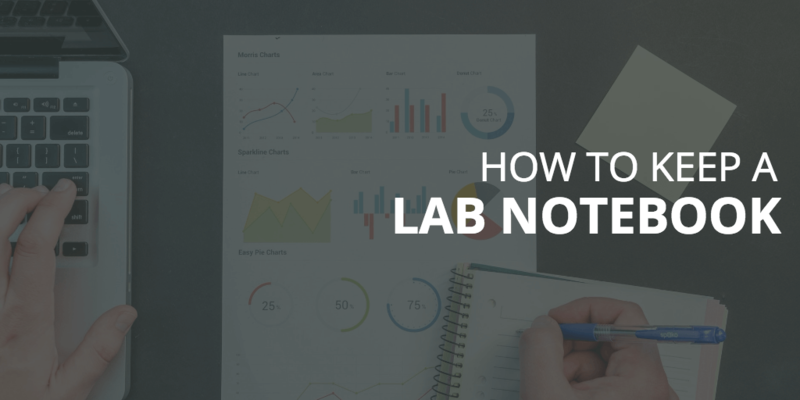 There is plenty more to read in the white paper itself, so head over and have a look at how labfolder can help you in your GLP compliance.